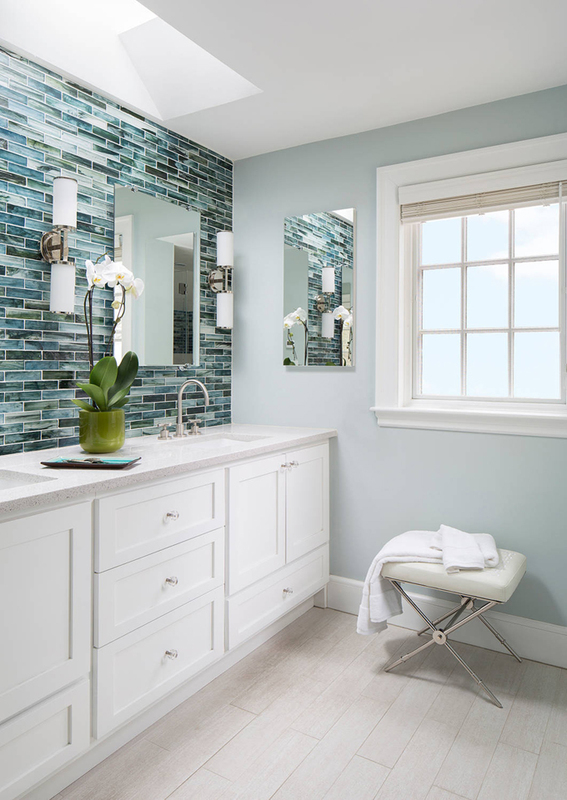 I’m absolutely obsessed with the watery tile in this gorgeous bathroom designed by Vani Sayeed, a Newton, MA-based interior designer and artist! The skylight above the feature wall really makes it dazzle! 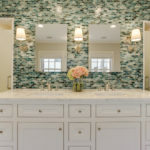 Love how her other selections like the simple white cabinetry and neutral floor tiles keep the focus on the handmade Japanese Sumi-e glass tile. The shower is such a dream too. 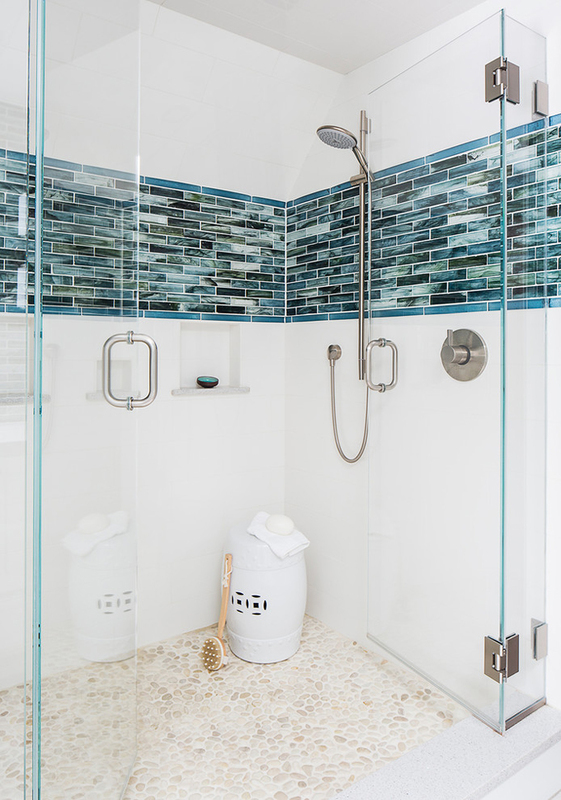 Love the pebbled tile on the floor! See more photos by Jared Kuzia of the rest of the home here–it’s just as beautiful as this! 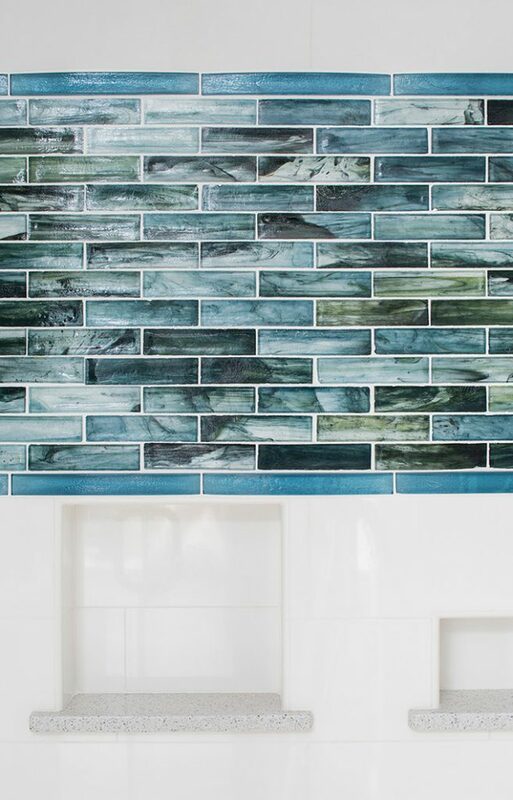 Stunning tile! And I love the idea of that stool in the shower, I've always used the stools designed for showers only (and they are never that cute). Those tiles are stunning! I like how they brought them throughout the shower as well! 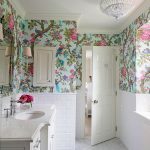 where can i purchase this tile online? Erin, thank you for this lovely story and showcasing my project on your fabulous blog! 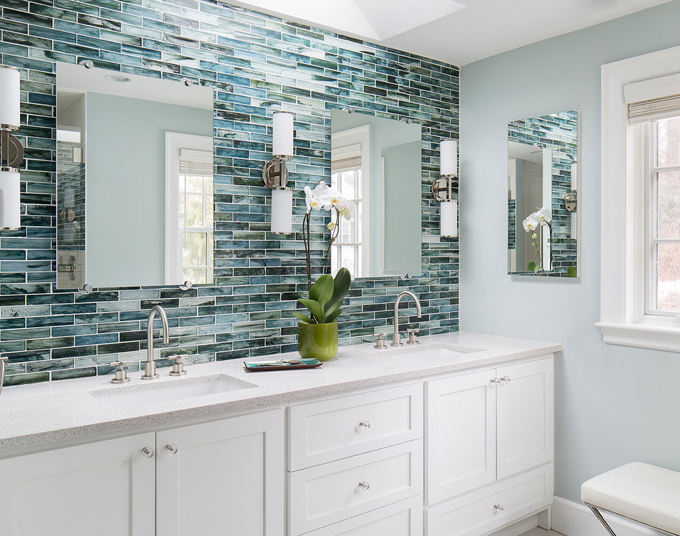 I LOVE the tiles behind the mirrors! Absolutely beautiful! 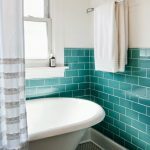 Which Sumi-e color is the tile?